The music business is harder to break into than ever before because, quite frankly, there are literally millions of new bands formed each and every year and the competition is stiff. Besides having a great sound and spectacular stage presence, you need to get the word out there that your group has that something extra music fans will love. However, it isn’t always easy to get your name out there and it may take some promotion on your part before getting signed to a major label, so here are a few ideas to get your group out there where people will start talking about you. One thing to be aware of is the fact that YouTube is a really great outlet for budding new artists – but only in small doses. Give them too much and there is no reason to buy your albums. This is a mistake many new performers make. Perhaps put what was once called the B side of a single on YouTube. Don’t put what you feel will make the charts if it gets out there because that would defeat your purposes. Give them something good to build a following, but never your very best! Remember, on YouTube they can listen for free, so why buy your tunes? Guest appearances are going to be one of the very best ways to introduce your new group to the world, no matter what your genre. Start locally and then as your following grows, you might want to find a manager that will contact the various television networks to try booking you on talk shows and late-night entertainment. This is where CD duplication and packaging play a huge roll. Any time you perform live, have your music available for sale. There are a number of ways you can use CDs you’ve mastered and duplicated besides selling your own music at concerts. Have you ever wondered just how many record labels there are out there? Most people only know of the top 10, but there are hundreds, if not thousands around the world looking to sign major artists. 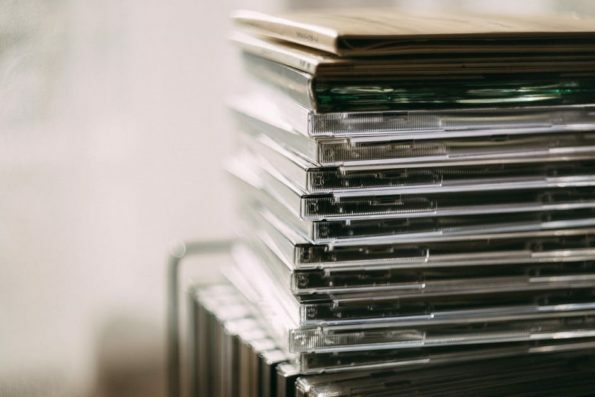 Why not send your CDs to a few of those with the most promise? Look for labels to sign with that will do the promoting for you! At one time, bands liked to sell or give away bumper stickers, but it is now trendier to use window stickers. How many of those little bears have you seen in the side windows of vehicles? Who hasn’t seen those easily identifiable iconic Grateful Dead bears that any fan of the legendary band is proud of displaying? They are small and an icon of the band; part of what brought them into the spotlight. The same holds true for T-shirts and posters. Graphic art is one of the best forms of promotion available and how you will get people asking, “Who’s that?” Fans will gladly tell them who you are and then begin turning them on to a new sound they won’t soon forget. The key is promotion. Use as many forms as possible to hit the ground running. Your sound may be great, but your promotion must be even better. Keep this in mind and you’ll go far.